These proceedings are of an international conference held in Venice, Italy to honor Cesare Chiosi on his 65th birthday. They provide a comprehensive overview of the most up-to-date information on stellar evolution and its extensive applications. Stellar structure and evolution has matured greatly as a science since the first numerical models were computed in the late 1960s. Since that time the basic aspects of stars have become rather well understood. While there are still important aspects of the "star" phenomenon that are worth investigating, modern stellar research now also focuses on constructing extensive databases as tools which can be employed in a far-reaching way in the other aspects of astronomy and astrophysics. 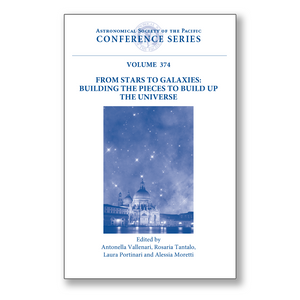 The 24 invited talks, 33 contributed talks, and 48 poster papers presented in this volume provide an in-depth assessment of the observational and theoretical issues of stellar structure and evolution and their application to other research. Topics include stellar evolution modeling, nucleosynthesis and chronology, analysis of HR diagrams of composite-resolved stellar populations in the Milky Way and nearby galaxies, and the integrated properties and chemical and spectro-photometric evolution of galaxies in general as constraints for cosmology.